Equine Assisted Psychotherapy (EAP) is a powerful and effective therapeutic approach that has an incredible impact on individuals, youth, families, and groups. EAP addresses a variety of mental health and human development needs including behavioral issues, attention deficit disorder, Autism and Asperger’s Syndrome, PTSD, trauma, grief and loss, substance abuse, depression, anxiety, life transitions, relationship issues and communication needs through a partnership with horses. The treatment team works together to see where the client is at in their treatment plan and creates activities that best address their treatment goals. EAP is an alternative to traditional therapy and great for those who have been “stuck” or who may feel disconnected. Because it is so effective it is considered a brief approach to therapy. 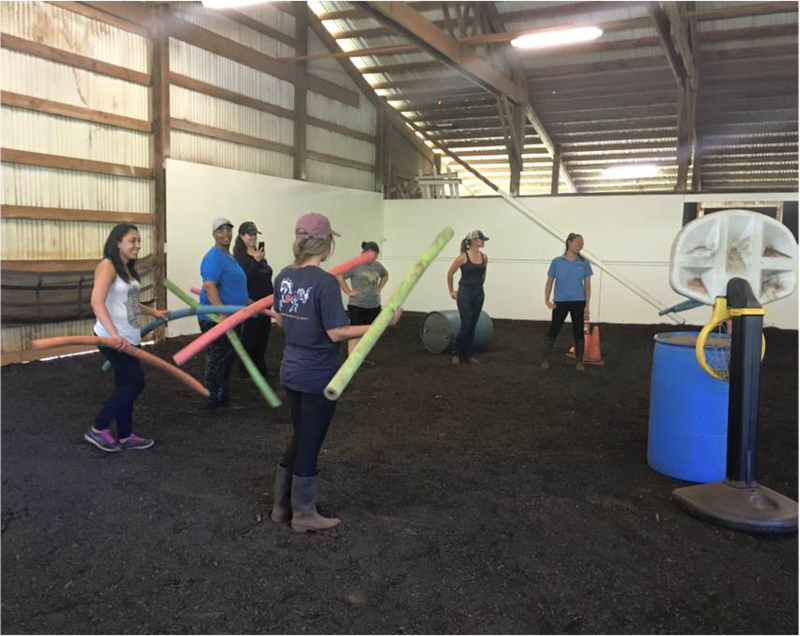 The Equine Assisted Growth and Learning Association provides a standard and structure for providing Equine Assisted Psychotherapy and Equine Assisted Learning sessions. An EAGALA certified Equine Specialist, a Mental Health Specialist, and horse(s) work together with clients in every session to address treatment goals and facilitate emotional growth and change. All sessions are on the ground with the horses, no riding is involved, and no horse experience is necessary. The focus of our sessions involves setting up ground-based activities with the horses that require the individual or group to apply certain skills. Non-verbal communication, assertiveness, creative thinking, leadership, responsibility, teamwork, building relationships, confidence, and attitude are some examples of the tools utilized and developed.